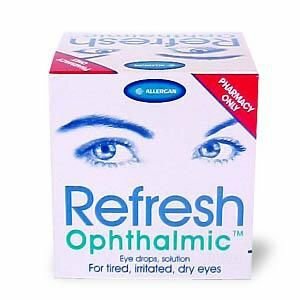 Refresh Ophthalmic treats symptoms associated with dry eyes, typically tired eyes, soreness, burning or itching. Normally your eyes are kept moist by the tears that bathe the surface. The action of blinking spreads the tears across the surface of your eyes. 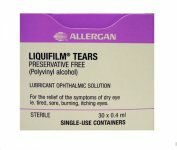 Tears contain important substances that lubricate the eyes, prevent infection and slow down evaporation of the tears. The standard treatment for dry eye is the regular use of artificial tear drops. 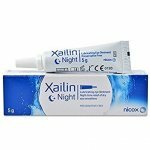 These drops can be used as often as needed to keep your eyes comfortable. This may vary from a few times a day to every hour. If you need to use drops very frequently, then try to avoid those containing preservatives, which can irritate your eyes. In circumstances where concomitant topical ocular medication is necessary, there should be an interval of at least 5 minutes between the two medications. 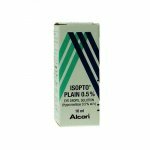 Ophthalmic solution containing Liquifilm 1.4%.